Supreme Court Justice Sonia Sotomayor is working on a book about kids with “life challenges,” young people living with conditions like attention deficit disorder, autism, blindness, and diabetes. Justice Sotomayor was diagnosed with diabetes as a child, so the subject matter of her book is something she acutely understands. Her new book is set in a garden and is about "a bunch of us kids working on creating the beauty of a garden." 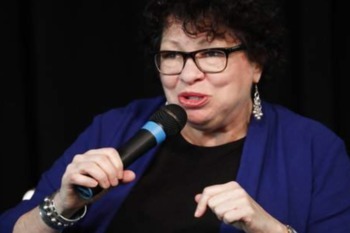 "I wanted a children's book that would explain some of those challenges, some of the frustrations, some of the difficulties in dealing with such conditions," said Sotomayor. The book is expected in 2019. San Diego Center for the Blind offers several programs that can drastically improve your life quality. Please contact us to learn more about assistive technology.